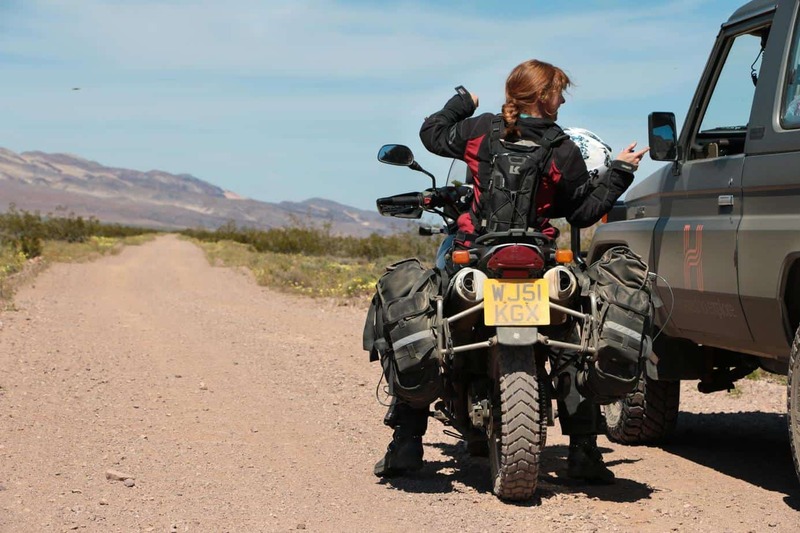 Editor’s Note: This article was originally published in Overland Journal, Winter 2016. 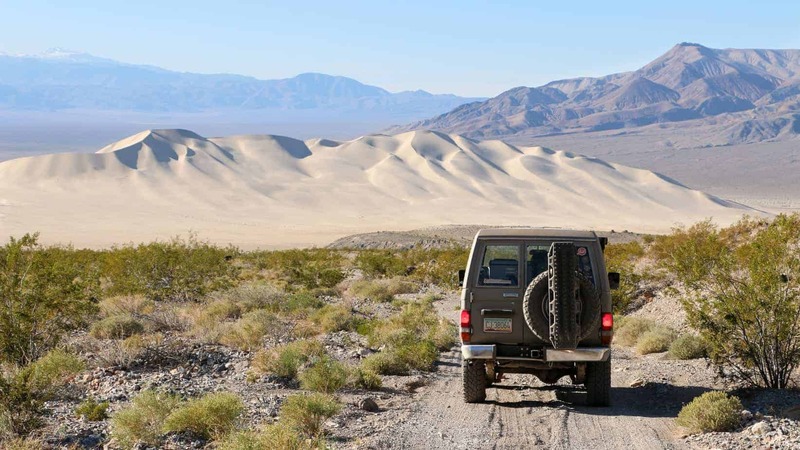 It’s easy to see the allure of national parks like Yellowstone and Yosemite, where breathtaking views and lush ecosystems are just steps from the pavement, but many struggle to appreciate the desolate nature and arid expanses of Death Valley. Here you have to look for beauty, or even work for it, with a hike up a hill or drive down rough roads. 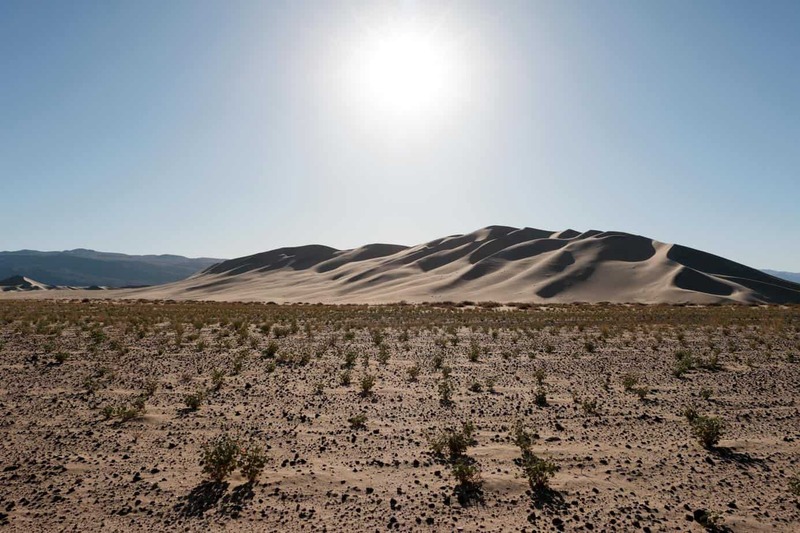 This doesn’t suit the fancy of many parkgoers, but for those who love to journey off the beaten track, the unique and strange sights of this desert make it well worth the trip. 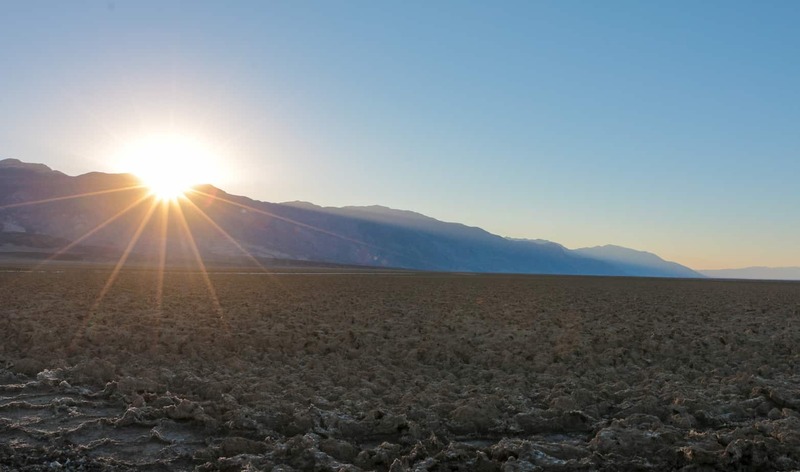 As the name suggests, Death Valley has never been the most hospitable place, and without large deposits of gold or silver its human history is fairly short. The first people of European descent didn’t arrive until the California Gold Rush when, quite by accident, a group of prospectors stumbled into the valley while following a “shortcut.” Unable to find a way out for their wagons, they were eventually forced to eat their oxen and hike out on foot. 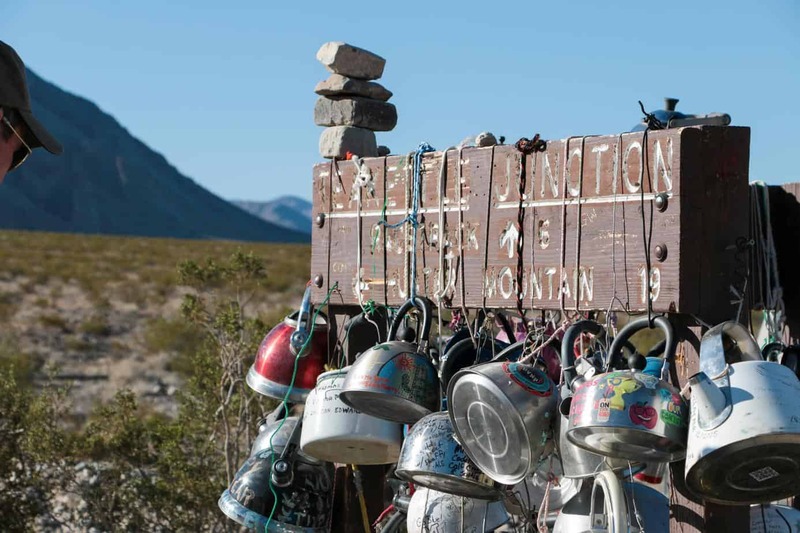 As the party made their way west over the Panamint Range, one of the ’49ers supposedly said, “Goodbye, Death Valley,” and the name stuck. By the late 1800s, borax was being excavated from the valley and exported. Easy to mine and in high demand for products like soap and cosmetics, this profitable industry spurred the use of 20-mule transport teams and eventually a railroad to keep up with orders. 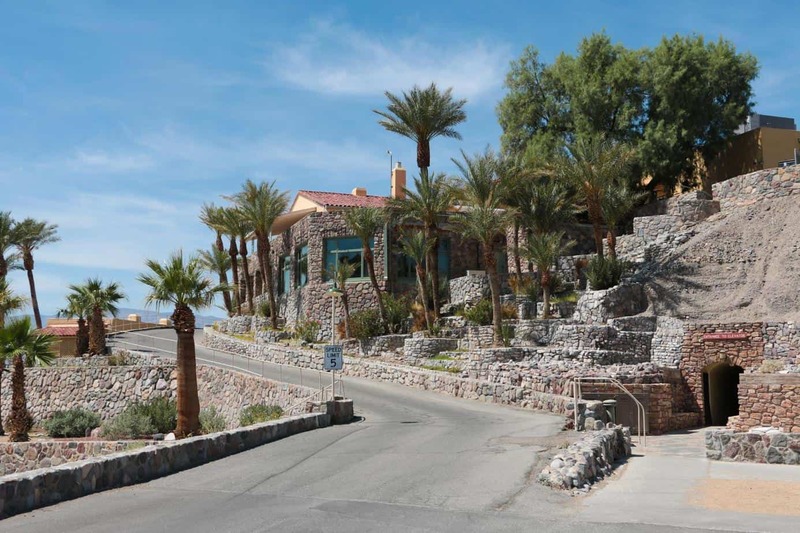 It would remain the valley’s most well-known enterprise until the eventual tourist boom in the 1920s, when resorts started popping up in places such as Furnace Creek and Stovepipe Wells. 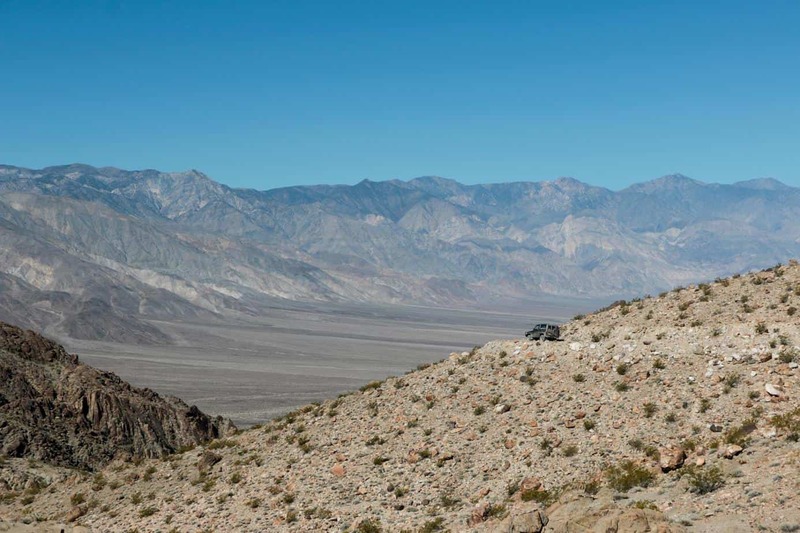 By 1933 Death Valley was officially declared a national monument, but it wasn’t until 1994 that Congress expanded the preserve to its current size (5,269 square miles) and made it a national park. 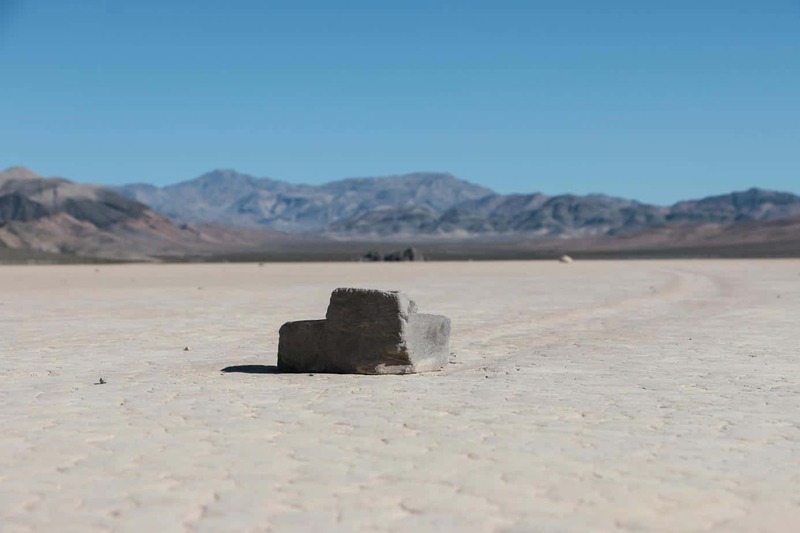 Nestled between the Nevada deserts and the Sierra Nevada, Death Valley contains some of the most unique and often contrasting views in the parks system. 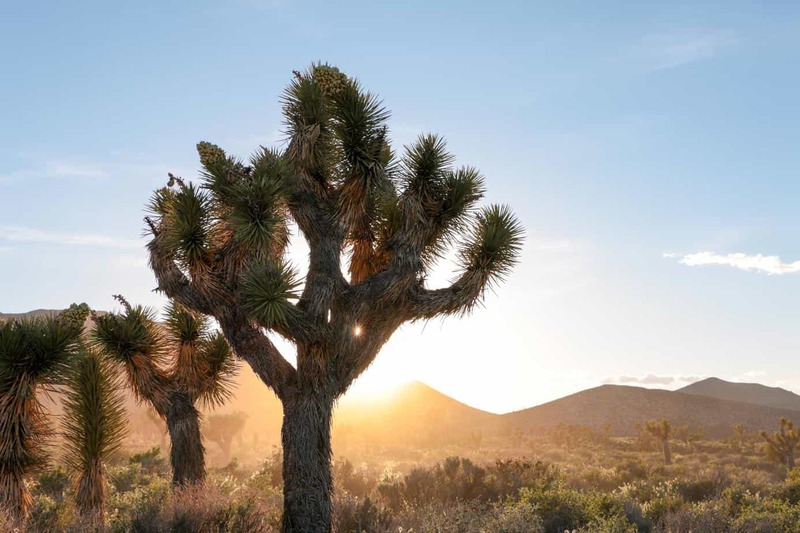 Visitors can spend a morning walking the dusty grounds of Bad Water Basin (282 feet below sea-level) and then watch the sunset from atop Telescope Peak (11,043 feet) the same evening. From salt flats and sand dunes to hot springs and waterfalls, there is plenty to see if you know where to look. As you might expect, plant life is fairly limited at lower elevations. 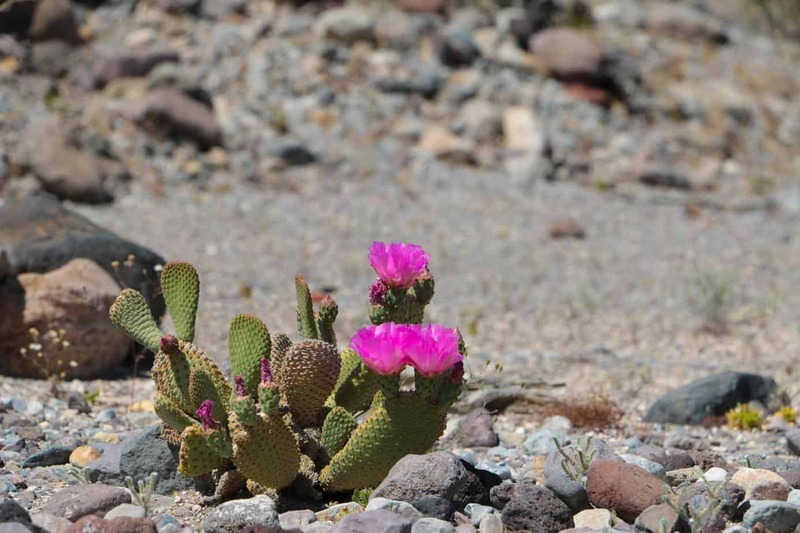 Cacti and shrubs are prominent and include species like cholla, prickly pear, barrel, creosote, and Joshua tree. 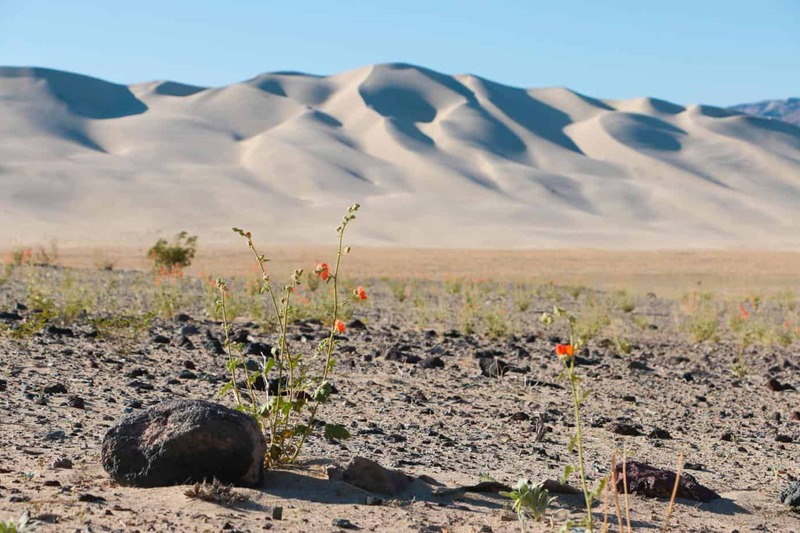 Wildflowers also have their seasons in the basins, and under the right conditions species like desert gold, notch-leaf phacelia, desert dandelion, desert paintbrush, and purple sage thrive. Trees are limited, but small pines and junipers can be found at higher elevations. Animals are more diverse, with 51 species of native mammals, 307 species of birds, 36 species of reptiles, 3 species of amphibians, and 5 species of fish. 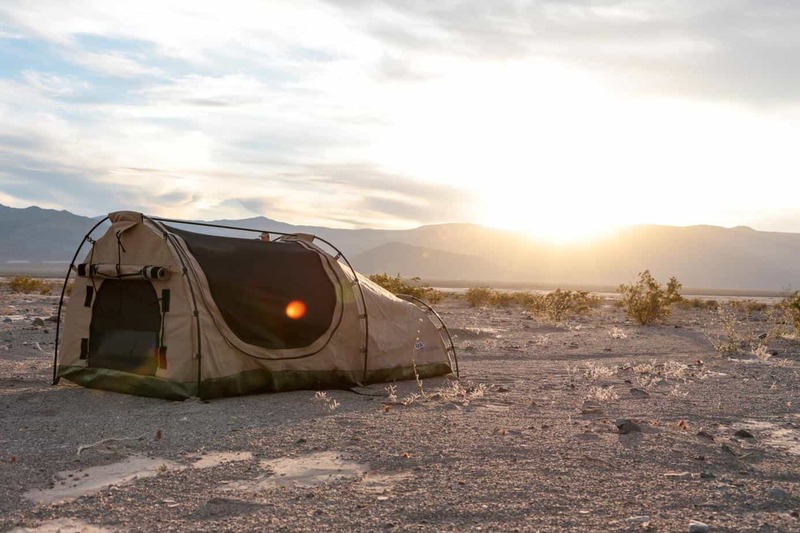 Included in these numbers are rare specimens like the Inyo Mountains slender salamander, and endangered species like the Death Valley pupfish which exist in just a few pools inside the park. 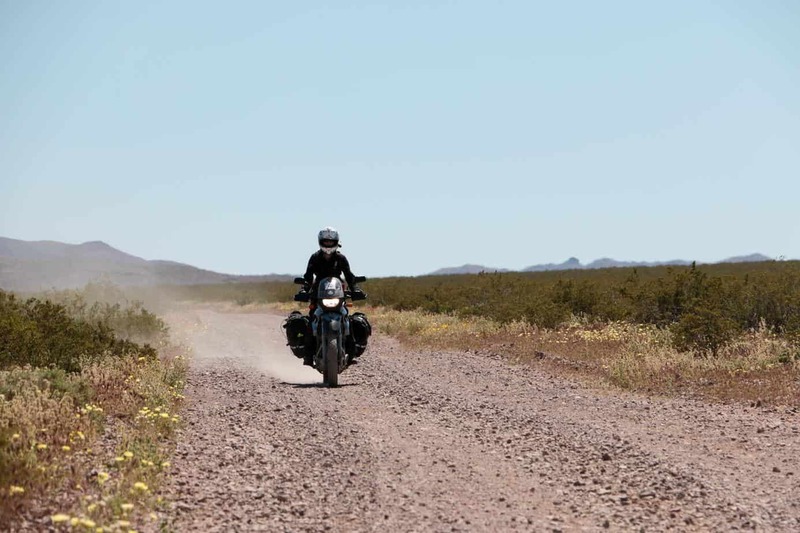 Begin by heading northwest on Furnace Creek Road; you’ll find a smooth track leading toward State Route 190. 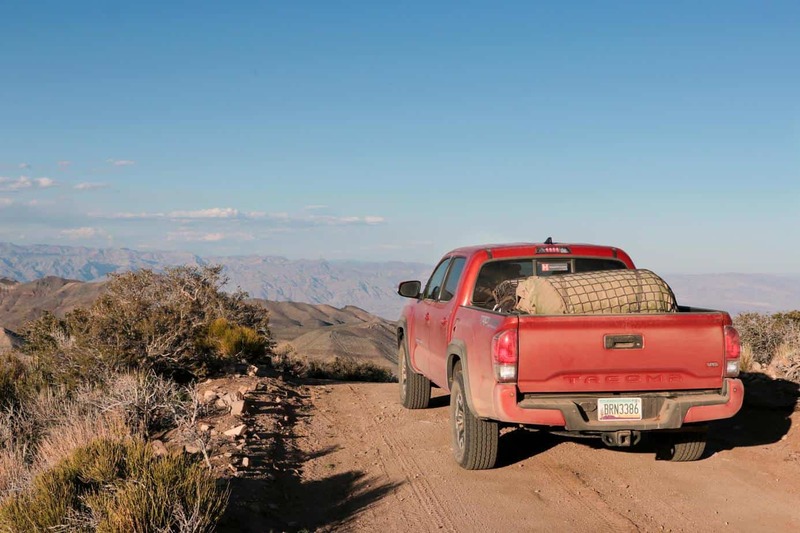 With wide open expanses, splashes of color from wildflowers, and a good bit of dust, this stretch of dirt is a perfect way to get into the Death Valley groove. 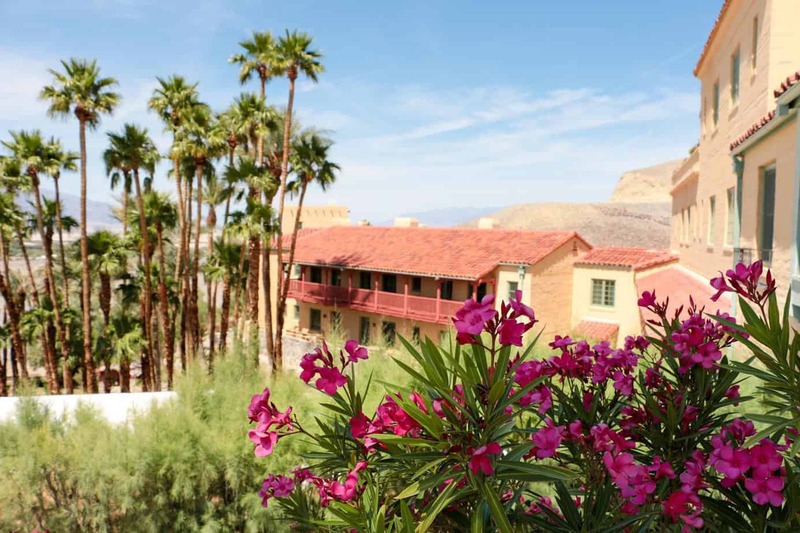 It soon dumps onto pavement and leads you straight to the first stop of the journey: the Inn at Furnace Creek. Opened in 1927, this four-star resort is an oasis of luxury in the heart of the badlands. The historical building retains much of its original design; however, a pool, golf course, restaurant, and even large garden can be found on the grounds today. We took some time to enjoy the lunch buffet, and to say it is worth every penny would be an understatement. 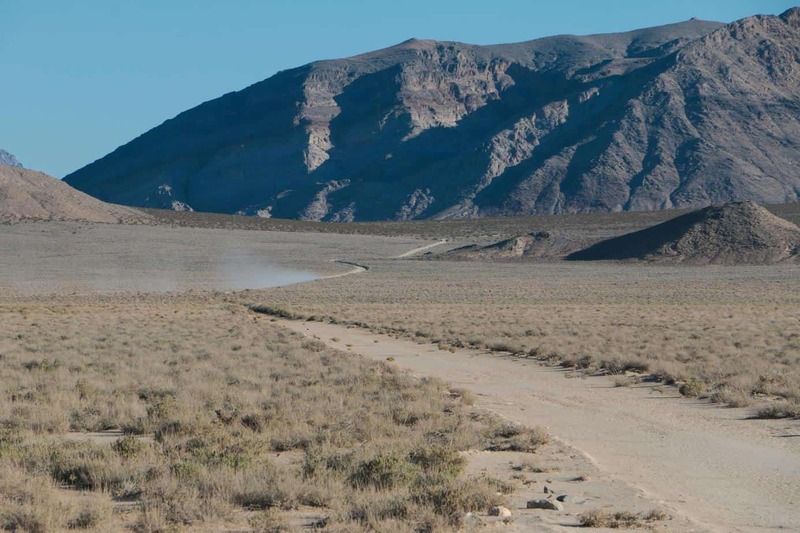 From here the route turns toward Bad Water Basin, the lowest point in the Western Hemisphere. The official marker is usually swarming with tourists, so we took an alternate track across to the middle of the salt flat. Here the heat, solitude, and barren landscape fully bear down on you for the first time, and it is painfully clear why this region is worthy of its name. 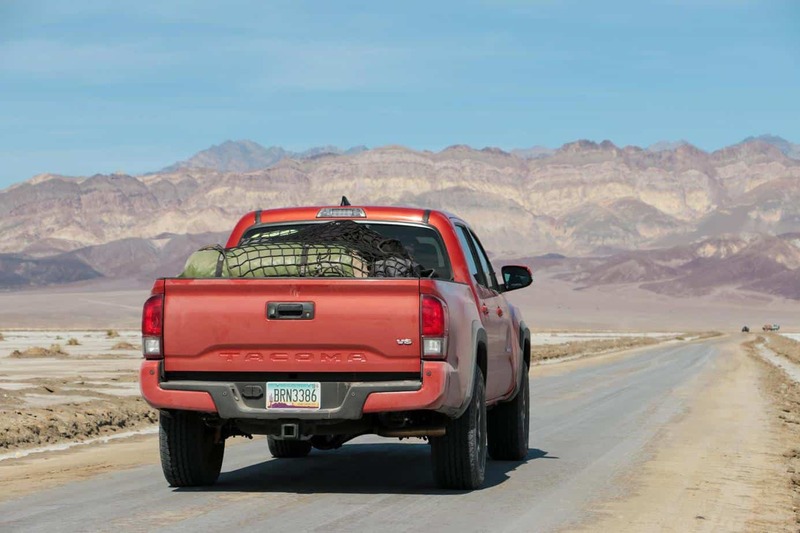 Hopping back on State Route 190 for the last paved section of the trip, drivers will witness the Mesquite Flat Sand Dunes and crest Towne Pass before heading into Panamint Valley. 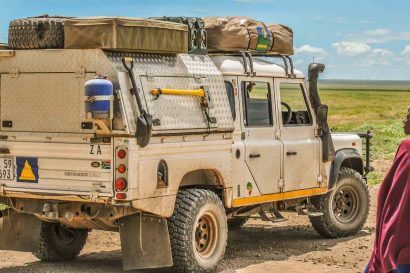 With free dispersed camping and several points of interest (including a year-round waterfall and a number of well-preserved charcoal kilns), this is the perfect stop for the first night. 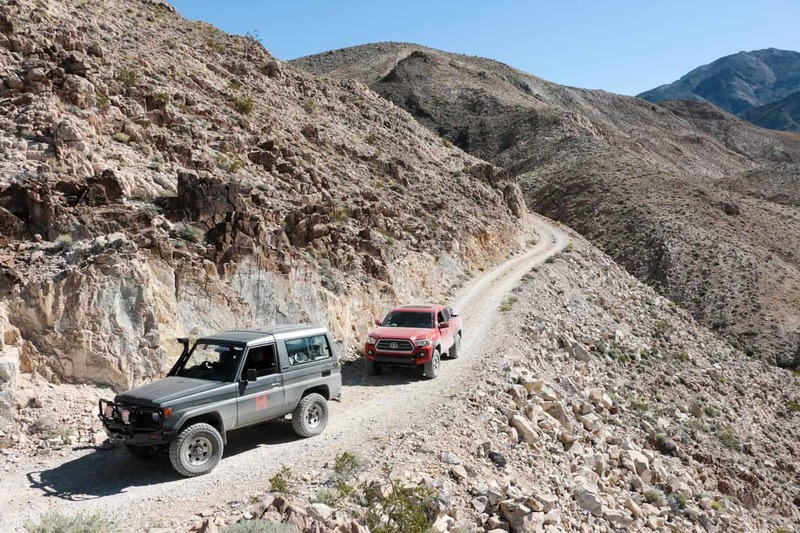 After filling up in Panamint Springs, drivers will start the climb up the west side of the valley toward Teakettle Junction. 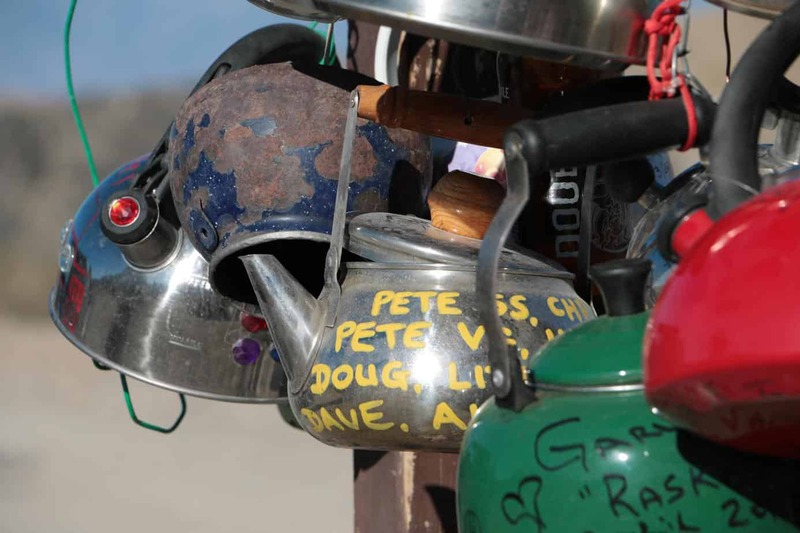 This eclectic traveler’s monument is comprised of a vast array of strange and artful teapots, and seems to be constantly evolving with new additions. 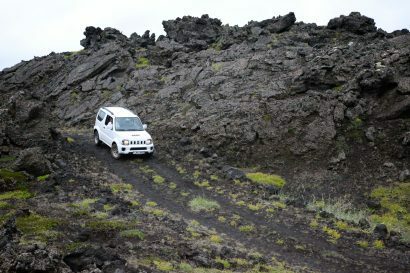 The road leading there is equally unique, with fast straightaways, winding mountain switchbacks, and loose rock; be prepared for anything, especially big smiles. Once you’ve taken in the teapots, get a move on because just south of the junction lies one of the park’s greatest treasures: the Racetrack. 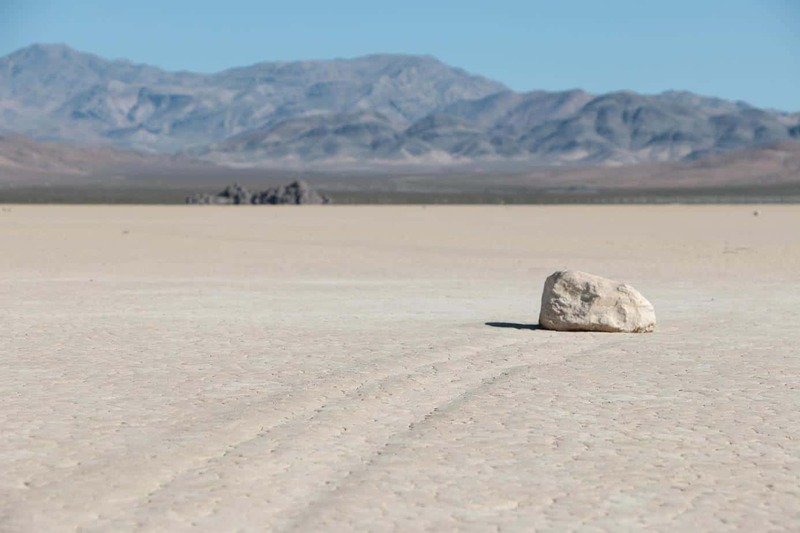 Despite what the name suggests, this amazing playa has nothing to do with cars or races, but rather rocks that seem to move on their own! 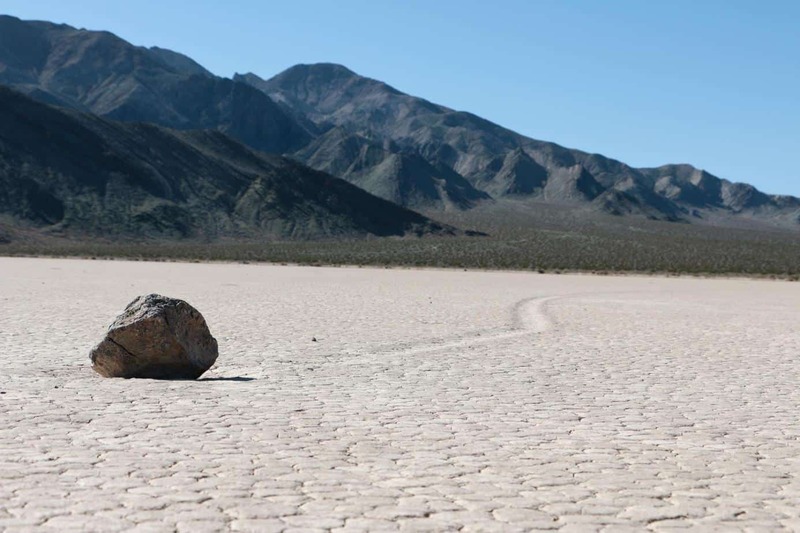 Mobilized by melting ice sheets, boulders slowly slide across the terrain, leaving trails behind in their wake. While they won’t be drifting around in plain view, some specimens have traveled over 1,500 feet throughout the years. 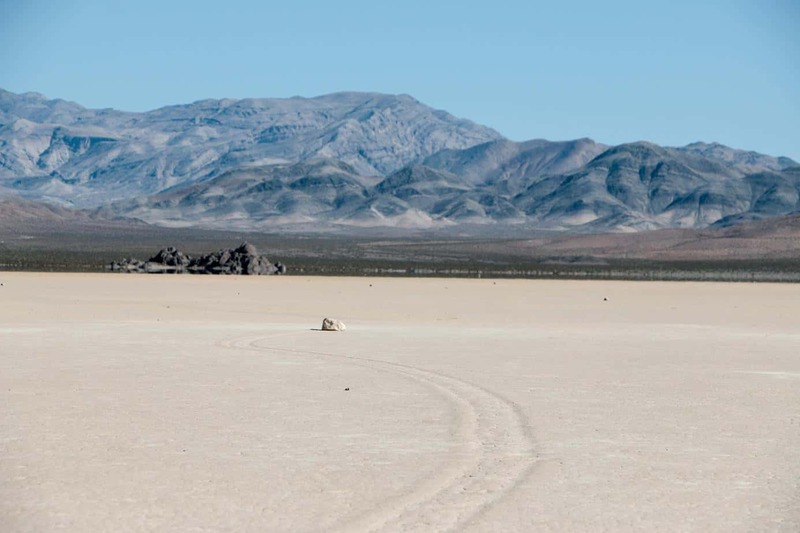 One could study the playa for days, but you’ll want to keep moving. 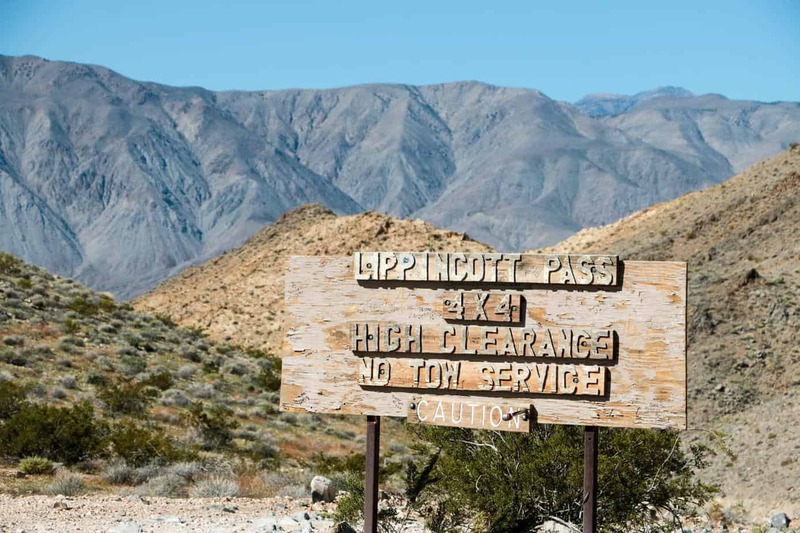 Up next is Lippincott Pass, a technical four-wheel drive trail through the western mountains of the park. 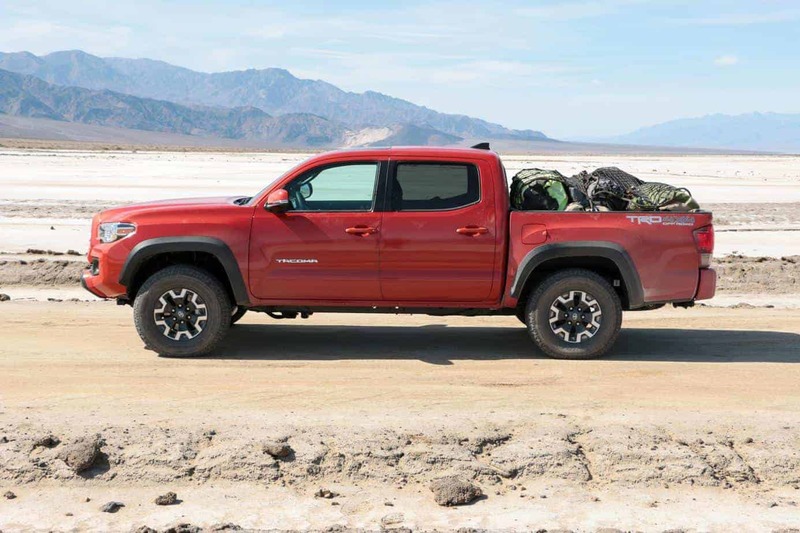 This rocky road requires low range and is a good deal of fun, but with no recovery or towing services available, a well-picked line is crucial. 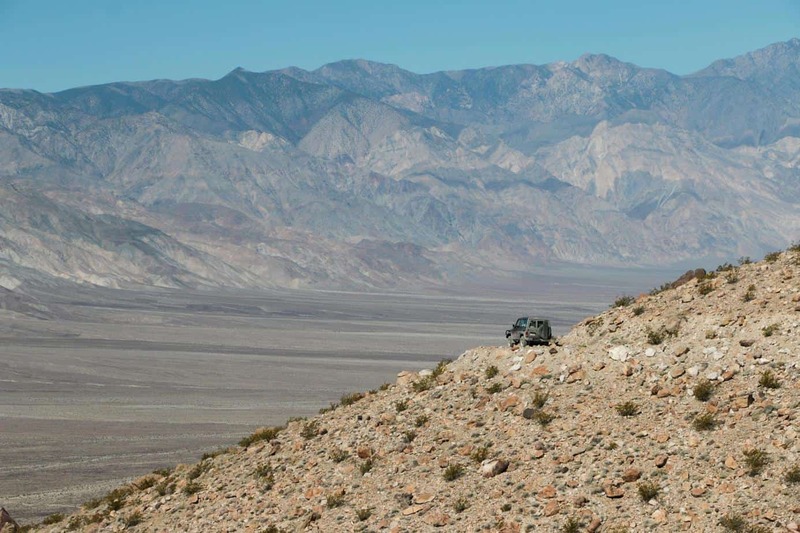 Those that make it through to Saline Valley will be rewarded with a winding descent along steep shelf roads and some incredible views. The next 15 miles are scenic but otherwise uneventful, until a sharp turn takes you onto Warm Springs Road. 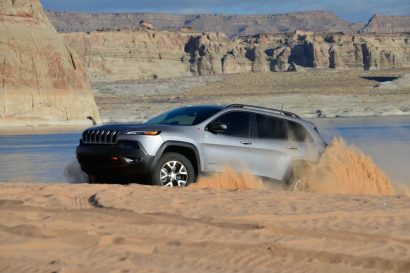 The path immediately becomes sandy and begins to snake its way across the desert floor with an ebb and flow that feels similar to being on a ship at sea. Like something out of a movie, palm trees and grass appear in the distance through shimmering waves of heat, and a post-apocalyptic sign points you toward this peculiar oasis. 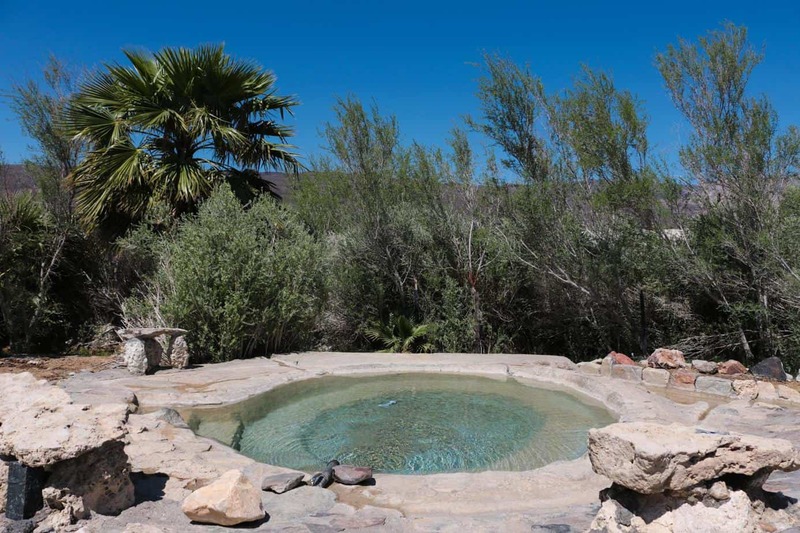 There you will find perfectly manicured grass, crystal clear pools of hot water in which to bathe, a full bar, plenty of free camping, and a few naturalists without their clothes. It’s a strange place to be sure, but one that should not be missed. 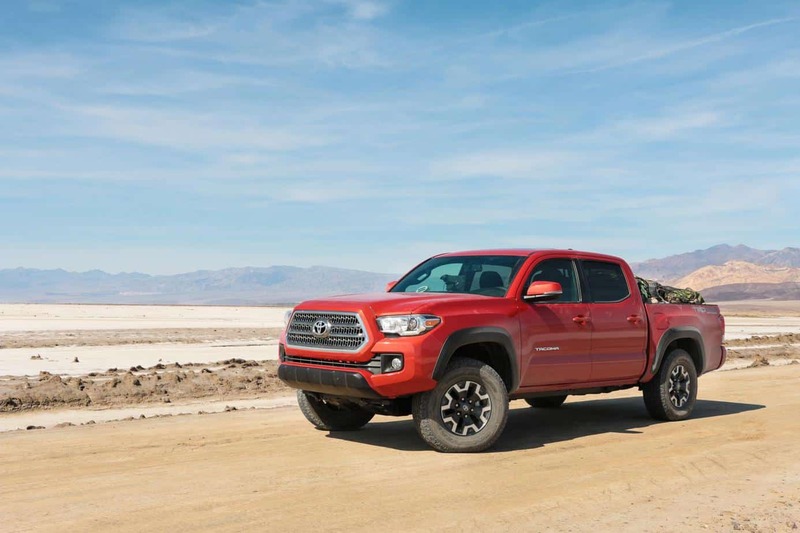 The final section of our Death Valley route leads you through sandy washes to Steel Pass, the most challenging portion of the trip. 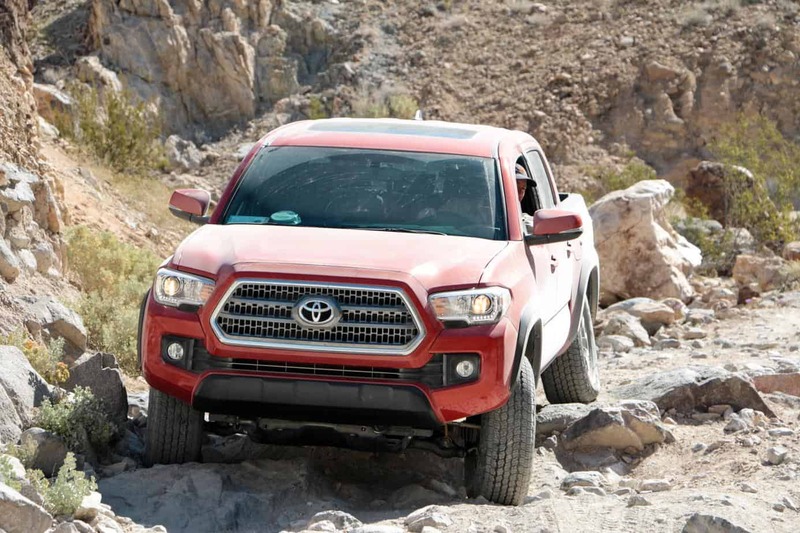 It includes several tight turns between boulders, a narrow box canyon with multiple rock ledges, and one particularly nerve-racking obstacle that combines both a tight squeeze and a big drop. 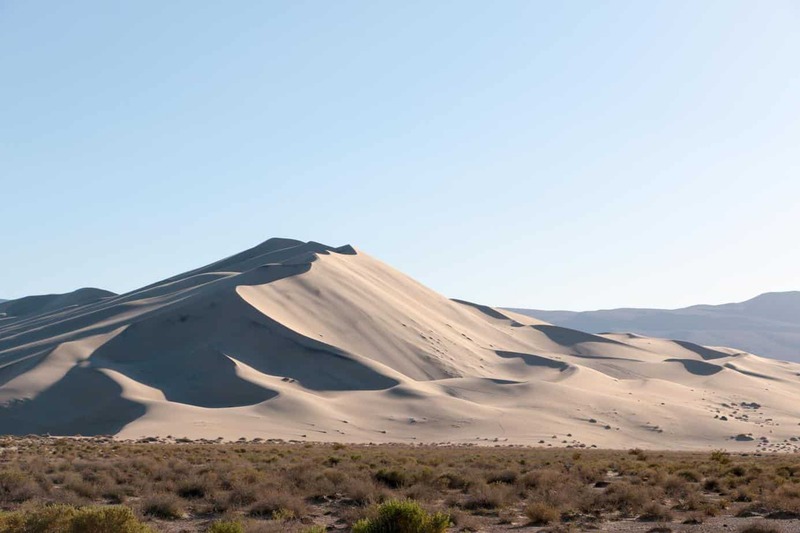 Low range, a good spotter, and a lot of patience are required for this section, but completing it gives you an unparallelled view of the Eureka Dunes. 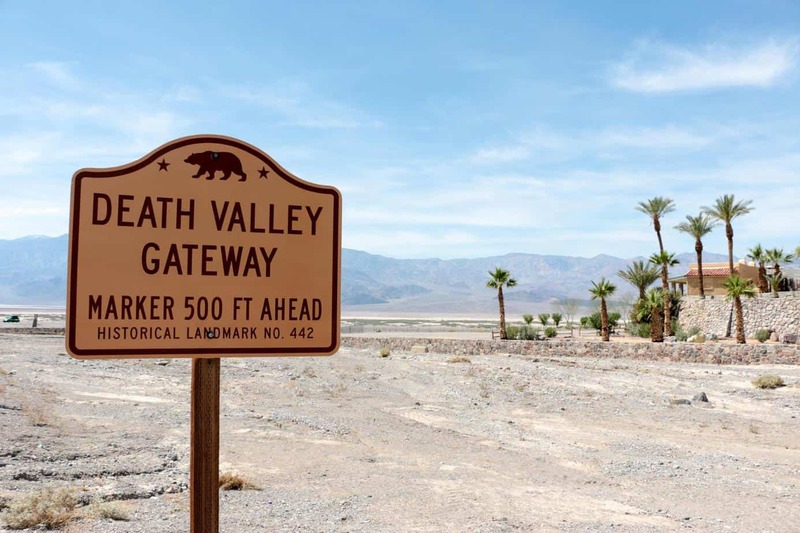 Southeast Entrance From Shoshone, California, head north on State Route 127 for 1.5 miles. Turn left onto Jubilee Pass Road/ State Route 178, proceed for 5.5 miles. Turn right onto Furnace Creek Road and continue on route. 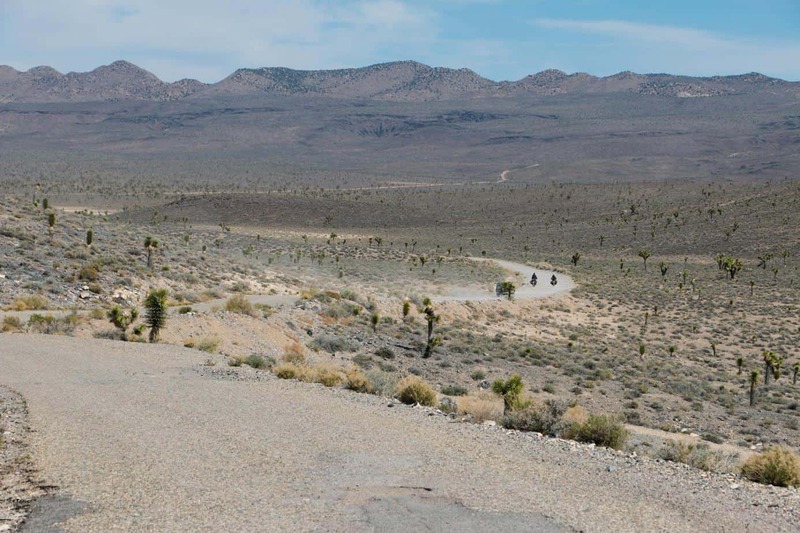 Northwest Entrance From Big Pine, California, head north on State Route 168 for 2.3 miles. 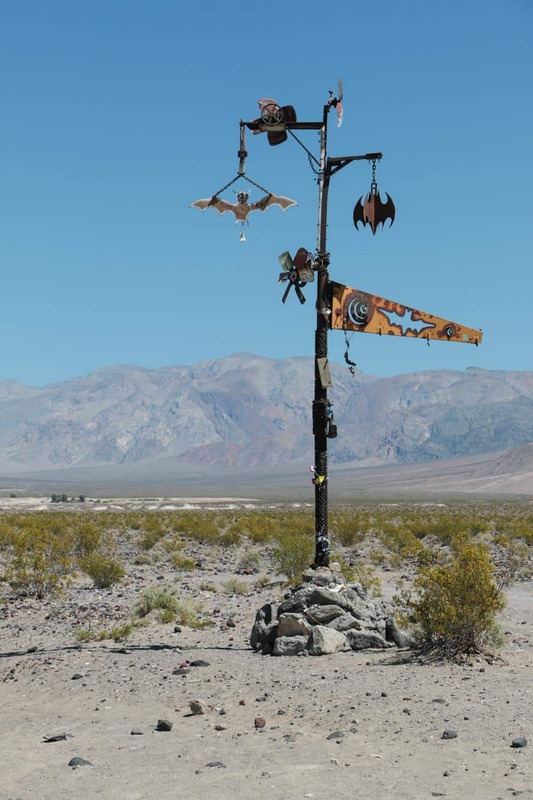 Turn right onto Death Valley Road and continue on for 36.5 miles. Turn right onto South Eureka Road and proceed on route. 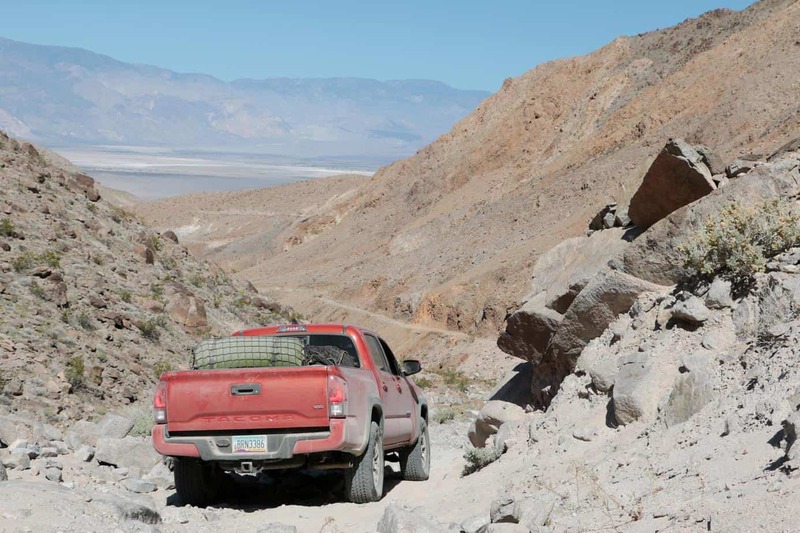 The majority of the Death Valley route is easy to navigate with just a few obstacles bordering on difficult. 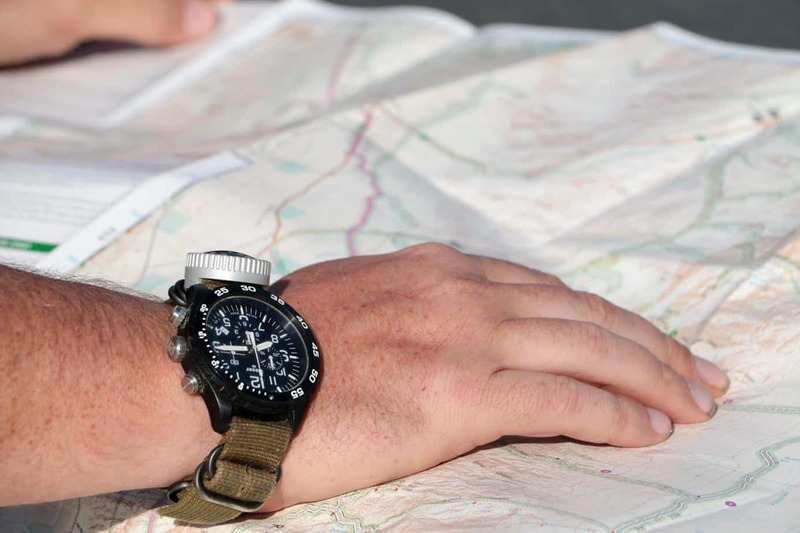 However, given the extreme conditions of the area we are giving the overall trip a moderate rating. To undertake an easier version that can be completed in an AWD vehicle, remove the Lippincott and Steel passes. 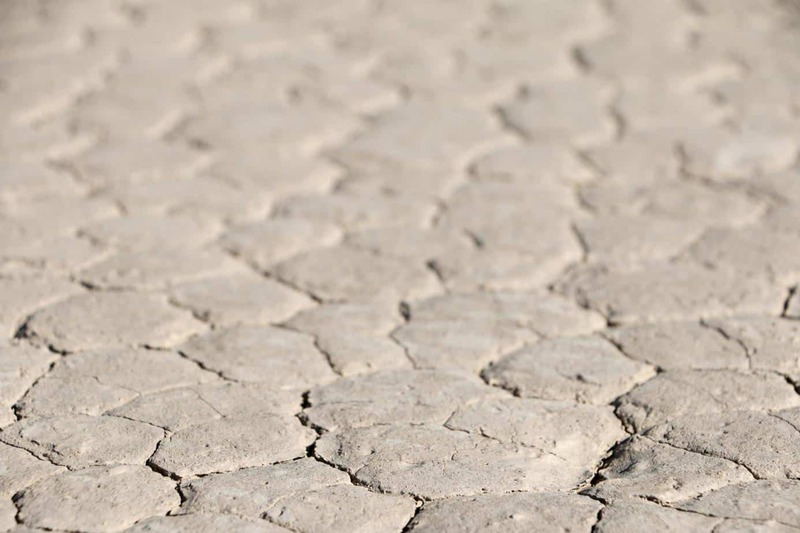 Although Death Valley is open throughout the year, summer temperatures are regularly over 100°F with highs hovering around 120°F. These conditions are extremely hard on vehicles and passengers, increasing the risk of damage, accidents, or even death. We highly recommend visiting during cooler months (October through May), or in the spring when wildflowers are in bloom. 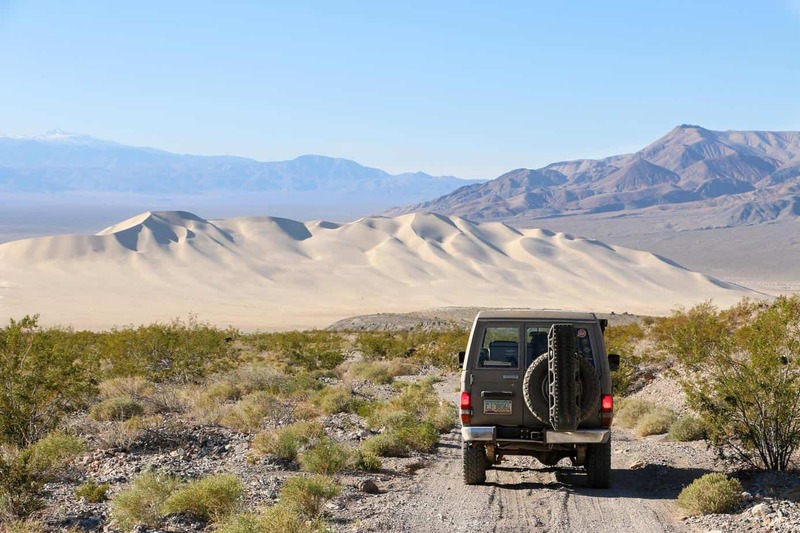 Death Valley National Park requires a vehicle entrance fee ($20/car, $10/motorcycle, $10/bicycle, 7-day pass) but does not require any sort of permit for dispersed camping in approved areas. Campfires are not allowed anywhere in the park except at developed campgrounds.